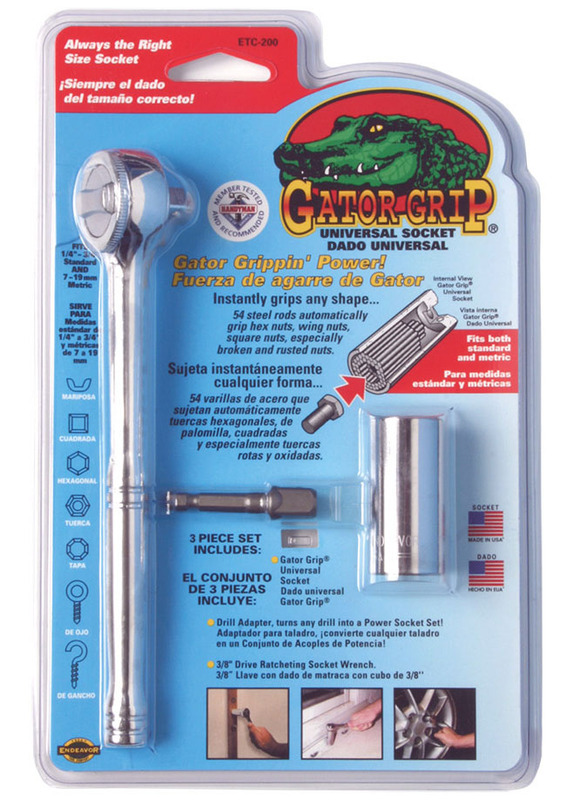 Gator-Grip® is universal socket that can replace a whole set of sockets - and more! It's patented design enables you to work in situations that ordinary tools couldn't help. Each socket contains 54 spring-biased pins made of high quality hardened steel. When the socket is placed onto a fastener the center pins retract and the outer pins surround the fastener. As the fastener is turned the torque is transmitted through the outer pins to the walls of the socket. This innovative design enables you to work with different sizes of fasteners, whether metric or imperial. 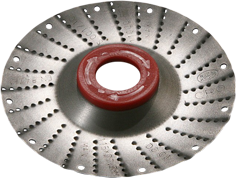 It also ensures to work with different shapes - hexagonal and square fasteners, hooks, and even rusted and damaged nuts and bolts. Gator-Grip® will work with almost any shape different from a complete circle. Gator-Grip® can be used with power tools. Do not use Gator-Grip® with pneumatic and hammer tools.